What is The Way of St. James? The Way of St. James, or, El Camino de Santiago, is actually several hiking routes that begin in various parts of Europe and end at the supposed resting place of the apostle St. James in the town of Santiago de Compostela, Spain. 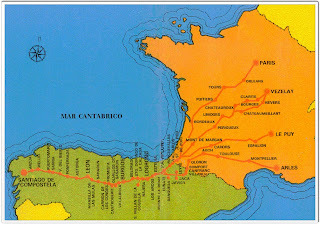 We will walk the most popular route, the 500-mile main section of the Camino Frances, which begins at Saint Jean de Pied de Port in France. The appropriately named website Camino de Santiago contains a wealth of information about everything having to do with the Camino. I'll mention it repeatedly in my blog posts during the coming weeks and months as we prepare for our journey. 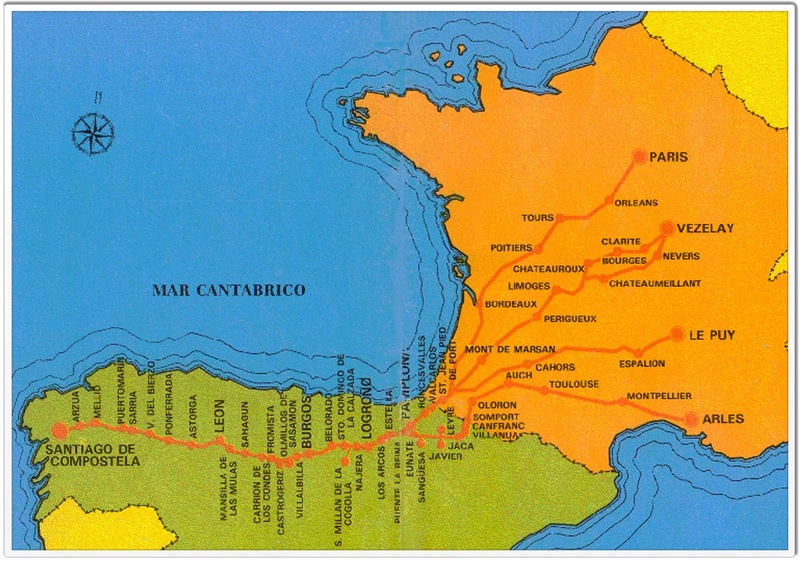 Why the Camino and not something closer to home? The girls and I love to hike and travel, and Hugh and I feel our daughters are more than ready for a long-distance international adventure. While hiking the Camino, Alex and Sage will hear a multitude of different languages, they'll interact with people from various cultural backgrounds, they'll eat the local foods, they'll learn the local customs, and they'll walk through a variety of towns that were founded centuries ago. They'll hike, I'm guessing, an average of ten to fifteen miles a day carrying all their provisions on their backs (this is what they routinely do here in the New Hampshire mountains when we hike...that part of our Camino will feel routine). They'll walk when they want to walk and rest when they need to rest. They'll most likely accept help from others when they need it, and they'll offer assistance to other pilgrims whenever they can. They'll be participating in a pilgrimage that has been performed by countless Europeans for over a thousand years. In other words, this experience will be profoundly educational and spiritual. More important than any of the above, however, is that by doing the Camino de Santiago, we have an opportunity to give back. Alex, Sage, and I feel strongly about supporting organizations that help empower girls and women. 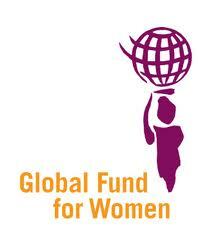 We have therefore decided to raise as much money as we can for GirlVentures and Global Fund for Women. We hope to be responsible for at least $10,000 in donations to these two organizations by the time we've finished our Camino. We know The Way will sometimes be difficult. We expect blisters, sore legs, and setbacks. However, the girls are tough, determined, and enthusiastic. They're used to subzero temperatures, frigid windchills, and snowy trails. That being said, once we're on the Camino, we'll take it one day at a time. We'll go at the girls' pace and take as many rest days as they need. You'll be able to follow our progress, triumphs, and setbacks right here on this blog.